The Hyatt hotel was great. The steak house, Shula's, steak was not a good experience. Steak was to salty, but the Salmon I had on Sunday was great. The hotel service personal were very helpful. 02-Apr-2019 Verified Review, stayed from Fri Mar 29 to Sun Mar 31 2019 at a $159.00 average nightly rate. One of the largest hotels in Houston, Hyatt Regency Houston provides the perfect backdrop for meetings and special events of any style or size with a variety of venues and a staff of professionals dedicated to satisfying your every need. Choose from 64,000 square feet of flexible meeting space, including 31 meeting rooms with pre-function space, the 16,000 square-foot Imperial Ballroom or the spacious 28,000 square-foot Exhibit Hall. Regency Caterers are available to help make your next event a success whether at the hotel or off-premise. After a full day of meetings or sightseeing, melt your cares away with a vigorous workout at the fully-equipped exercise facility or with a relaxing swim in the sparkling, rooftop pool. Choose from a variety of equisite dining and entertainment options. Enjoy Houston fine dining with spectacular city views at Spindletop, Houston's only revolving rooftop restaurant. Savor juicy steaks and roasted game at Ducks and Company. Feast on popular favorites at Whistler's Walk, or meet for a Starbucks beverage at decafe. Join colleagues for an evening cocktail at the Park Bar under a canopy of trees. George Bush Intercontinental Airport-26 miles. $19.00 one-way on Airport Express shuttle. $37.50 or $39.50 after 5 pm via taxi cab.Hobby Airport - 12 miles $14 one-way trip on Airport Express Shuttle. $20.00 one-way trip via taxi cab. 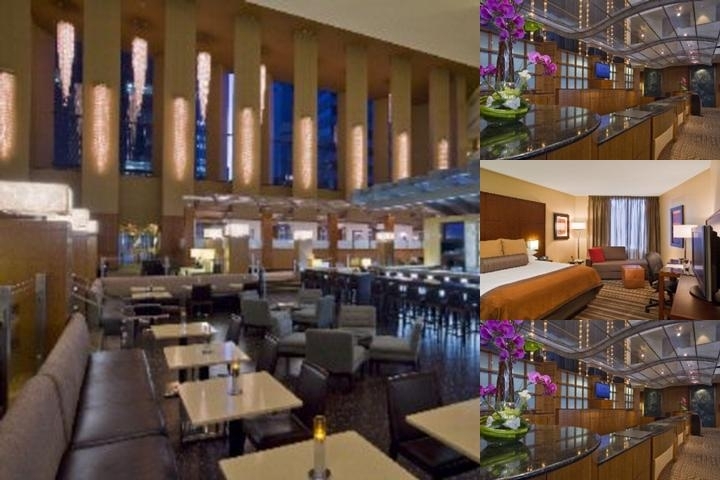 Below are the meeting, banquet, conference and event spaces at Hyatt Regency Houston. Feel free to use the Hyatt Regency Houston meeting space capacities chart below to help in your event planning. Hotel Planner specializes in Houston event planning for sleeping rooms and meeting space for corporate events, weddings, parties, conventions, negotiated rates and trade shows.